Our Private Guiding in the Alps program includes a variety of climbs and trekking options in France, Italy and Switzerland, including Mont Blanc, the Matterhorn, and the Eiger. Given the low climber-to-guide ratio offered in the Alps, private guiding is an excellent option for those who want to customize a program or need particular departure dates. The flexibility benefits both the beginner climber and experienced climber as we can easily customize programs. While we feel our scheduled climbs offer an excellent opportunity for most climbers, circumstances may warrant a private climb to better suit your needs. Please note this is a rapidly growing program and we suggest contacting Alpine Ascents as early as possible. We are committed to providing you with a comprehensive program, including managing all of the logistics and ensuring you have a safe, fun, and educational experience. 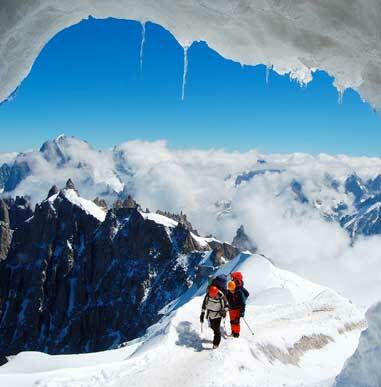 Each season, Alpine Ascents offers many private climbs for a number of reasons. 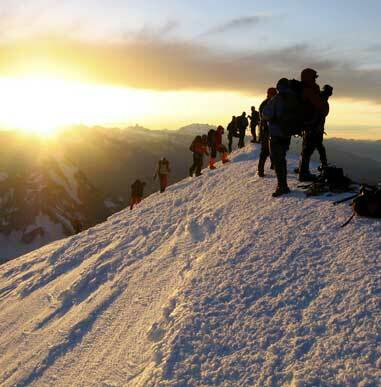 In the past, we have created Mont Blanc summit climbs that are technical climbing weekend getaways for skilled climbers that are limited on time. We have also worked with small groups of up to four climbers to create their perfect European climbing vacation. For the beginner climber, we offer an introductory mountaineering course that goes at your pace and schedule. 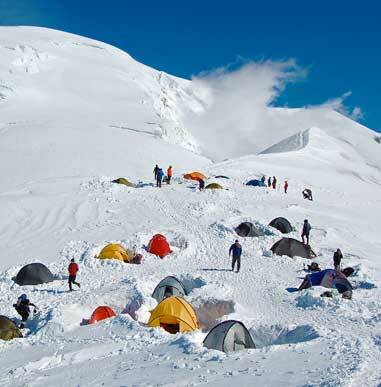 The advanced climber might enjoy a customized trip with a focus on climbing the Alps Trilogy, which includes climbing the Mont Blanc, the Matterhorn, and the Eiger, among other technical objectives. Unlike other companies operating in the European Alps, we have the unique quality of being a high-end travel company that specializes in mountaineering expeditions. We bring our many years of experience as one of the best climbing companies in the world to create your custom or private expedition. Please email our Alps director (alps@alpineascents.com) with any questions or trip inquiries and we will help make your European climbing dreams a reality. Our private trips allow climbers to customize their individual climb. We offer private climbs on Mont Blanc, the Matterhorn, and the Eiger, along with training courses in the French and Swiss Alps. Each one of our guides is an IFMGA/AMGA-certified mountain guide. If you don’t already have routes in mind, we can help you design an itinerary of any length. You can join us for as little as a day or two, but especially if you have your sights on one of the high peaks or big routes, we suggest beginning with at least one preliminary climb to tune your skills and to acclimatize. How do you book a private? If you would like information on the above, please contact Gordon Janow or call our offices at 206.378.1927. The exceptional knowledge, flexibility, planning skills, and foresight of the lead guide and the unwavering attention Alpine Ascents shows to client safety by increasing the guide/climber ratio is precisely why I am a repeat customer.